AUSTRALIA: RES Australia has axed plans for a proposed 758MW wind farm in Victoria after nearly a decade of development work. The planned 223-turbine Penshurst project in the south west of Victoria would have been the developer’s largest wind project in Australia to date. But proposals for the site were dropped last week after a "comprehensive review". A RES Group spokesman told Windpower Monthly it "would not be right" to clarify the commercial reasons behind the decision. A RES spokesperson said: "Since 2008, RES has invested a significant amount of effort, time and money in the Penshurst project and supported various local community events and groups over a number of years. "After a detailed review of the site we no longer consider this project to be an ongoing development opportunity and we intend to focus on other sites in our expanding portfolio. "We have had very many supporters in the Penshurst area and a loyal group of landowners. We would like to wholeheartedly thank these members of the local community for supporting us." The developer had originally revealed plans for a site with 225 turbines in the south west of the state in November 2010. But according to stories in the local newspaper, the Warrnambool Standard, the project has faced fierce opposition from residents. 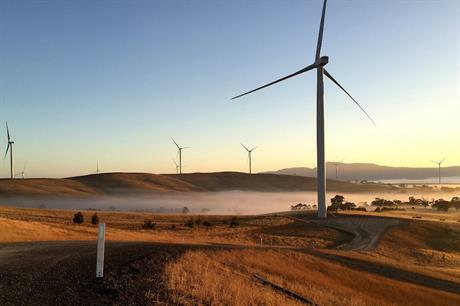 The company has successfully developed more than 400MW of new renewable energy projects in Victoria, Queensland and New South Wales, including the 240MW Ararat site in southwest Victoria. It also has more than 2.5GW of new wind, solar and energy storage projects in its pipeline, including the 420MW Murra Warra wind farm in northwest Victoria.